Since its foundation in 1661, historical topics were presented rather superficially in the educational process at Lviv University. Thus, according to the educational charter of Jesuits “Ratio Studiorum” (1599) history as a separate subject was not taught. Students studied the historical problems in the course of foreign languages acquisition and rhetoric. Only in the era of Enlightenment “Ratio Studiorum” was amended, from autumn 1739 history at Lviv University was taught as a separate subject. The historical development of education and research at Lviv University within the specialized structural divisions goes back to 1784. Two historical departments were founded on the basis of the Faculty of Philosophy at Lviv University, the activity of which was resumed by the Austrian Emperor Joseph II (1780-1790) at that time. The department of subsidiary historical sciences (1784-1818) was chaired by Gottfried Uhlich (1784-1794) and Toma Vuchich (1794-1818) and the department of World History (1784-1920) was chaired by Ludwig Zehnmark (1784-1811), Joseph Mauss (1811-1850), Antony Wachholz (1850-1860), Gottfried Muys (1860-1861), Heinrich Zeißberg (1863-1871), Ksawery Liske (1871-1891), Bronislaw Debinski (1892-1919). During 1861-1863 this post of the Chairperson was vacant. Besides lectures, students who wanted to learn history, attended practical classes within the philological-historical workshop organized in 1852. It was considered to be a “research institute” of the Faculty of Philosophy, and was divided into two sections: historical (supervised by Professor of History) and philological (supervised by Professor of Classical Philology). At the beginning of the 1850s the post of the chairperson of the department of World History was held by A.Vakhholts, a native of Biala (now Bielsko-Biala, Poland). By that time, this department was headed by German professors. Another interesting fact is that Adam Vakhholts graduated from the Faculty of Philosophy of Lviv University (1837). Essential changes occurred in 1869-1871 – University became bilingual: since then the official languages of teaching and learning at Lviv University, instead of German, were recognized Ukrainian and Polish. 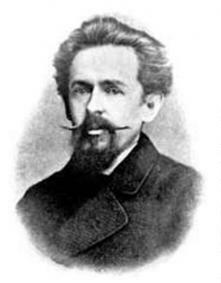 In 1871 the department of World History was chaired by Doctor of Philosophy Ksawery Liske – a symbolic figure for the development of history at Lviv University. He was the first to organise a separate historical workshop and seminars of auxiliary historical sciences the so called “paleographic and diplomatic exercises” were also introduced to the educational process. And the Student Academic Society of History was established in 1873. Being one of the most famous Polish source studies expert of that time, this scientist compiled and published 13 – volume sources “Urban and rural acts” (“Akta grodskie i ziemskie”) in the course of 1869-1889. The last third of the 19th – early 20th centry was a time of founding departments of “imperial and national histories” at Lviv University. The first of them was a department of Austrian History (1869), the next one – Department of Polish History (1882) and the Department of World History with a special focus on Eastern Europe (1894). During 1873-1892 the department of Austrian history was chaired by Ukrainian Isydor Sharanevych. He also supervised seminars in Austrian history at the Historical Workshop. 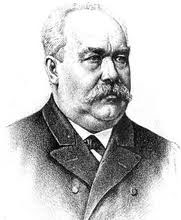 The topics of his lectures and practical classes covered the history of lands of the Austro-Hungarian monarchy from the 10th to the 19th century as well as the history of Ukrainian lands. He was the first to dwell upon ethnographic issues in his lectures. After I. Sharanevych the department of Austrian History was chaired by well-known historian and archivist Ludwik Finkel (1892-1918), who in 1894 initiated the establishment of the Lviv University Archives and actually launched a scientific study of the history of the institution. In 1882 the department of Polish history was chaired by K. Liska’s student, Tadeusz Wojciechowski. Besides the history of Poland, he also based his lectures on its sources. For many years he delivered lectures on ancient and medieval history of the Slavic peoples. The department of World History with a special focus on Eastern Europe history was founded at the Faculty of Philosophy during 1894-1914. It was the first department with Ukrainian as the language of instruction at Lviv University. Since department chairperson Mykhailo Hrushevskyi conveyed mainly the history of Ukrainian lands in his lectures, this department in the historiography is often called the Department of History of Ukraine. During 1911-1918 lectures for students of the Faculty of Philosophy in Ukrainian as the language of instruction were delivered by Stefan Tomaszewski, a docent of Austrian history. In the early 20th century, there worked such prominent historians at Lviv University as: A. Semkowicz, an expert on ancient and medieval history, researchers Adam Skalkowski and Adam Szelongowski, Polish historians of modern times; Szymon Aszkenazi, the founder of the “new Lviv historical school”; Olgerd Gurka, a researcher of the history of Southeastern Europe and Islam. In the 1917/1918 academic year Theophile Modelski began teaching at Lviv University. 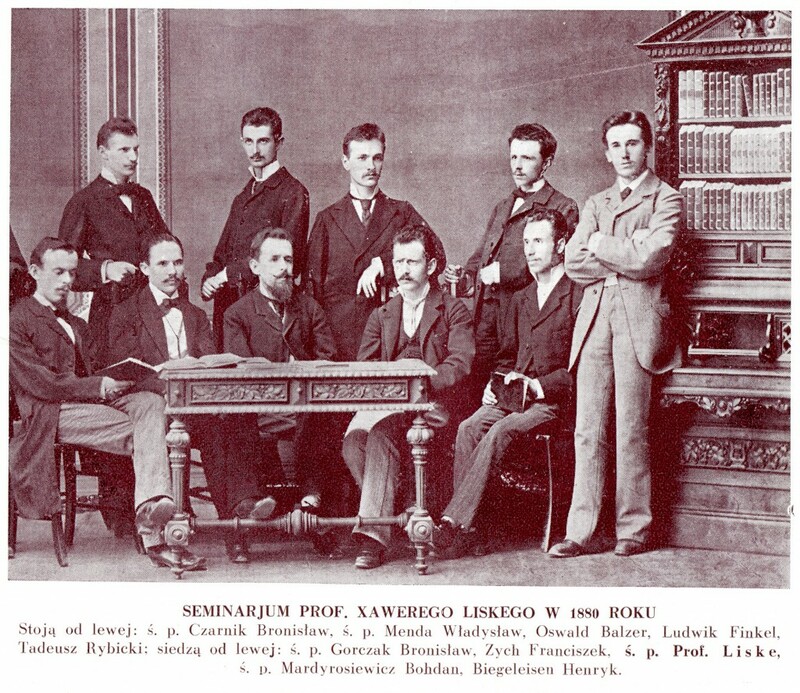 In the early 20th century, new departments related to the preliterate period of history studies were set up at Lviv University: the department of classical archaeology and prehistory chaired by Karol Hadaczek (1905) and the department of ethnology (1910), chaired by Stanislaw Ciszewski. Since then Lviv University gradually became one of the largest archaeological and ethnological centers in Central and Eastern Europe. In the 1913 -1914academic year, instead of the department of Ethnology, the department of anthropology and ethnology as well as ethnological and Anthropological Institute, chaired by the famous anthropologist Jan Czekanowski were set up. The late 19th – the early 20th century was a time of setting some art units at the Faculty of Philosophy at Lviv University. Thus, in 1892 the Department and the Institute of Art History of modern times chaired by Jan Boloz-Antoniewicz were set up. In the 1916-1917 academic year, privat-docent of history of medieval art Wladyslaw Podlaga began teaching at Lviv University. 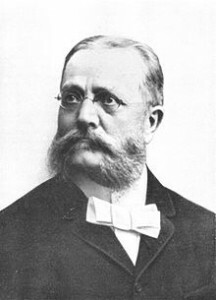 In the 1912/1913 academic year the Department of Music Studies was set up and the Institute of History of Music run by Adolf Gybinski was established. Since the last third of the 19th century teaching history within the Faculty of Philosophy at Lviv University was provided by such department as “philosophy and history”, which later on underwent some restructuring: “History and Geography”, “History and its subsidiary sciences and geography “,”History”. Setting new departments in the early 20th century contributed to the establishing of such new educational departments at the Faculty of Philosophy as: “Classical archaeology and Prehistory” (from the 1916/1917 academic year – “Classical Archaeology”), “Ethnography” (from the 1913/1914 academic year – “Anthropology and Ethnology”), “Art History”, “History and theory of music”. In the early 20th century scientific work at Lviv University was conducted at workshops and in the institutes (institutions). Historical workshop was divided into three branches: Austrian History (supervised by L. Finkel) World History (supervised by B. Debinski) and Polish history (supervised by S. Zakszewski). Besides this workshop there also was art history workshop (headed by J. Boloz-Antoniewicz) and archaeological workshop (headed by K. Hadaczek). History was taught at Latin and Greek proseminars of philological workshop. Such a tradition was preserved in the interwar period. 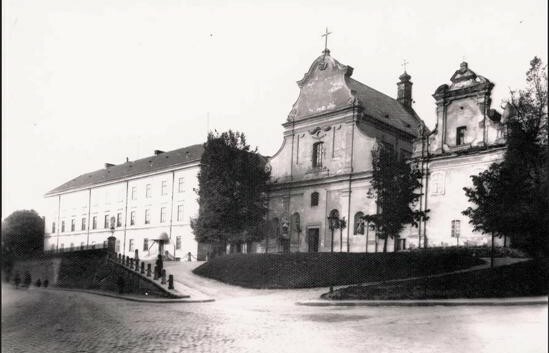 The development of history during the interwar period at Lviv University can be considered in the context of two contemporary schools: Jan Kazimierz University in Lviv (official name of Lviv University during 1919-1939) and Ukrainian university in Lviv. In particular, the elimination of Ukrainian Studies departments in Jan Kazimierz University in Lviv at the beginning of its existence, as well as obstacles for Ukrainian youth to study contributed to the formation, at first, private university courses (1919-1921), and later – Ukrainian University in Lviv. In the course of 1921-1925, it worked secretly as it was persecuted by Polish police. There used to be two Departments of History (World History and Ukrainian history) at university courses, chaired by Myron Korduba and Ivan Krypiakevych. In the course of 1919-1920 , those students who wanted to learn the profession of a certain direction in history could choose in several educational departments at the Faculty of Philosophy, in particular: “History” (Szymon Aszkenazi, Stanislaw Zakszewski, Adam Szelongowski, Theophile Modelski), “Classical Archaeology” (Edmund Bulanda), “Anthropology and Ethnology” (from 1923 – “anthropology, ethnology, prehistory”) (Jan Czekanowski), “History of Art” (Jan Boloz-Antoniewicz, Wladyslaw Podlaga), “History and theory of music” (Adolf Gybinski). In the 1924-1925 academic year, main educational units which focused on history were in the structure of the Faculty of Humanities. In 1939 their structure was as follows: “History” (Stanislaw Witkowski, Franciszek Bujakow, Theophile Modelski, Stanislaw Lempicki, Ludwik Kolankowski, Kazimierz Hartleb, Olgerd Gurka, Czeslaw Nanke, Karol Maleczynski, Stefan Inglot, Kazimierz Tyszkowski, and Lucja Charewiczowa etc. ), “Archaeology” (Edmund Bulanda, Kazimierz Majewski), “Anthropology, ethnology, prehistory” (Jan Czekanowski, Adam Fischer, Leon Kozlowski, Bronislaw Rosinski, Stanislaw Klimek, Jan Falkowski), “History and theory of art” (Wladyslaw Podlaga, Mieczyslaw Gebarowicz, Karolina Lanckoronska), “Music studies” (Adolf Gybinski) and “Oriental studies” (Stefan Stasiak) and “Classical Philology” (Ryszard Ganszyniecs, Franciszek Smolka, Marian Auerbach etc). In the 1920-1921 academic year, besides seminars on history of Poland (supervised by Stanislaw Zakszewski) Ancient History (Stanislaw Witkowski), social and economic history (Franciszek Bujak), Art History (Jan Boloz-Antoniewicz) and archaeology (Edmund Bulanda) there were founded institutions of subsidiary historical sciences (run by Jan Ptasnik), art history of modern times (J. Boloz Antoniewicz) archaeological (E. Bulanda) and anthropological-ethnological (Jan Czekanowski). In the early 1930s, scientific historical institutes within the Faculty of Humanities had such a system: the history of Poland (S. Zakszewski, 1930-1936; Ludwik Kolankowski, 1936-1939), the world history of modern times (A. Szelongowski), world medieval history (T. Modelski), ancient history (K. Chylinski), social and economic history (F. Bujakow), subsidiary historical sciences (T. Modelski), classical archaeology (E. Bulanda) prehistory (L. Kozlowski), history of art of modern times (W. Kozycki) and the history of Polish and Eastern European art (W. Podlacha), history of education and schooling (P. Lempicki), ancient culture or classical philology (R. Ganszyniec), anthropological-ethnological (J. Czekanowski) and ethnological (A. Fischer). First they existed as workshops, and later as Scientific Institutes of Indian Philology ​​and Culture (chaired by Stefan Stasiak), Middle East (Zygmunt Smogozewski), Far East (in 1936 – Orientalist Sciences) (headed by Wladyslaw Kotwicz). It is worth mentioning that there was photographic studio (supervised by E. Bulanda) and drawing workshop (supervised by W. Podlacha) at the Institute of Classical Archaeology. In September 1939, after the annexation of Western Ukraine to the USSR, structural reorganization of Lviv University was launched. In particular, Faculty of Humanities was eliminated. In early winter 1939, in the structure of the University there were set up such historical Departments as: the history of the ancient world (chaired by Kazimierz Majewski), history of the Middle Ages (Omelian Terletskyi), history of supplementary sciences (Theophile Modelski), history of Ukraine (Ivan Krypyakevych), Art History (Wladyslaw Podlacha), archaeology and History of Material Culture (Yaroslav Pasternak), history of pre-class society (Markiyan Smishko). In January 1940 department of history of the USSR was set up, chaired by Vasyl Osechynskyi, and in April – the department of modern history, chaired by Andriy Skaba. In the structure of the Faculty of Philology, on the basis of the Department of Ethnology and Ethnological Institute, there was set up the Department of Ethnography and Folklore (existed during 1939-1941, 1944-1947 years under the guidance of Filaret Kolessa). On the eve of the Soviet-German war, there were such departments at the Faculty of History at the Ivan Franko State University of Lviv as: History of Ukraine (chaired by I. Krypyakevych), ancient history (K. Majewski), the history of the USSR (V. Osechynskyi), Archaeology (Ya. Pasternak) history and theory of art (V. Podliaha), new history (A. Skaba), history of the Middle Ages (A. Terletskyi), history of colonial and dependent countries (Yu. Bychenko). Lecturers of the Faculty of History actively participated in the educational and scientific process and in 1940, the first volume of “Memoirs of historical and philological faculties” appeared. Late in January – early in February 1941, the first scientific session was held at Lviv University. At its plenary session historical theme entitled “On the problem of Slavs homeland” was presented by anthropologist J. Czekanowski. Further meetings took place within individual sections. The head of the historical section was I. Krypyakevych. In April 1941, the first students’ conference took place at Ivan Franko State university of Lviv. It was run by I. Krypyakevych (chairman), V. Osechynskyi (deputy chairman) and student B. Dudykevych (Secretary). Soviet-German War cut short the activity of the Ivan Franko State university of Lviv. In the course of 1941-1944 its Polish professors organized a secret University named after Jan Kazimierz. Among lecturers there were ex-professors, docents and lecturers, E. Bulanda (Rector of Underground University), K. Majewski, T. Modelski, R. Ganszynec, T. Lewicki, V. Podlacha, M. Gebarowicz, A. Gybinski, S. Lempicki etc. In autumn 1944 the functioning of Lviv State University was resumed. An academic session was held in March 1946. Less than a year later – in December 1947, the fifth academic session was held. These sections reflect some changes in teaching staff in the postwar period and trends in contemporary research: history of French Revolution in 1789 (Konstiantyn Dobroliubskyi), Turkey’s modern history the history of international relations of the early 20th century, (Ivan Beliakevych), the historical fate of Ukrainian ethnic lands in the foreign countries (Myron Korduba) Civil War 1918-1920 on Ukrainian territory (Anna Hliadkovska), agricultural history of the Grand Duchy of Lithuania (Dmytro Pokhylevych), the history of ancient Rome, in particular, the region of Western Mediterranean during the Punic Wars (Ivan Veitskivskyi), Social-democratic organizations in Ukraine in the late 19th – the early 20th century, situation of Halychyna peasantry in the late 18th – the first half of the 19th century (V. Horbatiuk), History of Western Ukraine, Ukrainian Halychyna’s participation in World War I (V. Osechynskyi), ancient Lviv (Yo. Pelenskyi) and ancient Halych (I. Starchuk), Ukrainian participation in the Russian-French war of 1812 (Hryhoriy Herbilskyi), China’s modern history, international relations in the early 20th century (Roman Brodskyi), history of Bulgaria (Oleksander Beilis), Pehlevi dynasty in Iran in the course of 1925-1941 (Mykola Sharyhin) etc. During 1948-1949 the restructuring of the Faculty of History took place, since then the number of departments was reduced to three: ancient history and Middle Ages, Soviet history, the history of modern times and the countries of the East (later – Department of the History of New Age (1954-1972), and from 1972 – Department of Modern and Contemporary History). Further changes occurred in 1950: the department of the history of southern and western Slavs was set up; and in 1957, the department of history of the USSR. Thus, in the second half of the 1950s there were five departments at the faculty of History. During the 1960s to the first half of the 1980s major trends in research were set at the faculty of History. Archaeology of Western lands is best illustrated by Mykola Peleshchyshyn’s and Ihor Svieshnikov’s works. In the second half of the 1950s and in the 1960s at the Faculty of History there also worked the known archeologist Volodymyr Baran. Such scholars as Yuriy Hrossman, Vasyl Inkin, Yaroslav Kis, Mykola Krykun, Dmytro Pokhylevych were interested in various aspects of the social and economic history of Western lands in the Middle Ages and the New Age. The history of Western lands in the 19th and 20th centuries at the University was presented in works by H. Herbilskyi, V. Osechynskyi, Volodymyr Borys, Mykola Kravets, Yakiv Tovstukha, Vadym Tyshchenko, Oleksander Tsybko, Petro Chelak, Ivan Kosharny, Liubov Ivanenko, Tatiana Sokolovska. Stepan Makarchuk studied the history of Ukraine of the 19th – 20th centuries and ethnology. Ancient, medieval and early modern history of Western European countries is represented by the works of Ivan Veitskivskyi, Olha Tsybenko, Tatiana Soltanovska, Anatoliy Lozynskyi, Zoya Kalinina. Mykola Ratych, O. Beilis, Volodymyr Chorniy, Stepan Movchan, Ihor Hlichov, I. Bieliakevych, Martyn Lebovych, Hennadiy Kyparenko, Mykhailo Shvahuliak, R. Brodsky, Maria Kyselova studied the Modern History of Europe and Asia. 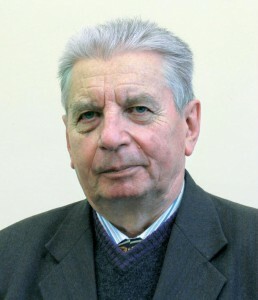 The numismatic issues were researched by Volodymyr Zvarych, Director of the Study of Auxiliary Historical Sciences, later the Museum of Archaeology. He was the first to publish Ukrainian “Numismatic dictionary”. In 1986 – the year of the 325th anniversary of Lviv University, there were the following departments at the faculty of History: the history of the USSR (chaired by Konstiantyn Kondratiuk), the history of the Ukrainian Soviet Socialist Republic (chaired by S. Makarchuk), Modern History (chaired by Volodymyr Chuhaiov), Ancient and Medieval History (chaired by Yu. Hrossman), History of Southern and Western Slavs (chaired by M. Krykun). Softening ideological pressure in the USSR in the second half of the 1980s influenced the faculty of History at Lviv University. In particular, the department of history of Ukrainian SSR was replaced by the Department of History and Ethnography of the Ukrainian SSR. In 1988, the department was called the Department of History and Ethnography of Ukraine. It functioned until 1995. In 1989 the staff of the Department of History and Ethnography of Ukraine (chaired by S. Makarchuk; lecturers: Dmytro Nyzovyi, Yuriy Kyrychuk, Oleksiy Sukhyi, Stepan Kacharaba and Volodymyr Mychka) was engaged in the research on the topic “Social and national relations and national liberation movement in Western Ukraine during the period of imperialism”. S. Makarchuk developed ethno-social problems and ethnic relations. D. Nyzovyi completed a chapter to the collective monograph “The working class in Lviv in 1939-1941”. Yuriy Kyrychuk collected materials on the political activity of Ukrainian parties in Eastern Halychyna in the 1910s-1920s. 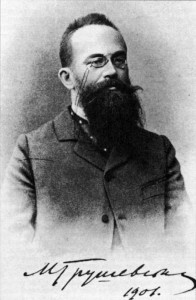 O. Sukhyi elaborated the theme “Russophile trend in social and political life of Western Ukraine in the second half of the 19th – early 20th century”. S. Kacharaba worked on his dissertation “The labour emigration from Western Ukraine in the late 19th – early 20th century”. V. Mychka collected some material for writing his dissertation on “Social and political movement in Eastern Halychyna in the late 19th – early 20th century”. The department of Ancient and Medieval History has been working on a research project, connected with the social and economic development of Europe since the Ancient Period to the New Times (supervised by Chairperson Yu. Hrossman) since the late 1980s. This project included the following individual research projects of the staff of the department: “Social and economical development and agrarian relations in Rus and Belz voivodeships in the second half of the 16th to the first half of the 17th centuries” (Yu. Hrossman), “Foreign trade of Ukraine in the 16th to the first half of the 17th centuries” (Volodymyr Kryvonos), “Foreign trade relations of Rus and Belz voivodeships in the 16th-17th centuries” (Rayisa Shyyan), “Monetary economy of the South-Eastern provinces of the Polish-Lithuanian Commonwealth in the 16th to the first half of the 17th centuries” (Roman Shust), “Material culture and domestic economy in the West of Ukrainian SSR (4-2 millenium BC)” (M. Peleshchyshyn), “Relationship of the Roman Empire with the Carpathian tribes in the first-third centuries AD” (Oleksandr Bandrovskyi), “Historiography of the ancient history in the ČSSR” (Ihor Lisovyi). In the late 1980s, the staff of the department of Ancient and Medieval History worked on the monograph “The outlined history of social and economic relations in Western Ukraine at the era of feudalism”, their archeological expeditions at the territory of Western Ukraine were frequent and fruitful. The Department of Modern and Contemporary History worked on the topic “Formation and development of historical relations and cooperation between the socialistic countries” (supervised by Chairperson, Rector of the University, Volodymyr Chuhayov) in 1986-1990. It included V. Chuhayov’s research projects concerning the influence of the revolutionary events of 1917 on the territory of the former Russian Empire onto the development of revolutionary and liberation movements in Poland and other countries of Central and Eastern Europe. Vasyl Hordienko worked on the monograph “Eastern Horizons of Bismark and Kaprivi”. H. Kyparenko investigated the problem of revolutions of the 1840s in the countries of Central and Eastern Europe as presented in Soviet Ukrainian historiography and S. Movchan – the investigation of the history of Yugoslavia and international labour movement at the interwar period. Mykola Rozhyk continued collecting data concerning the problem of the development of cooperation between the historians of the Soviet Union and Germany in the 1960-70s. 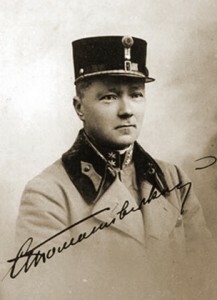 V. Zhulkevskyi worked on the topic “Soviet – Chechoslovak relations before World War II (historiography of the problem)”. Yuriy Burakov was concerned with the development of the project “Working class of Ukraine: the problems of historiography and source science”. At the end of 1980s the staff of the Department of Modern and Contemporary History prepared for printing the collection of documents called “Revolutions of 1848-1849” (chief editor – V. Hordienko), which was supposed to become a part of multivolume edition of documents on the history of New Times, prepared by the Moscow publishing house “Vysshaya Shkola”). At the Department of the History of Southern and Western Slavs at the late 1980s and the early 1990s worked the following scholars: Chairperson M. Krykun, lecturers V. Chorniy, A. Koziy, L. Zashkilniak, M. Kril, T. Poleshchuk. At that time M. Krykun was finishing his work on the doctor’s dissertation “Administrative and teritorial system of Right-Bank Ukraine in the 15th – 18th century (voivodeships and provinces)”, which was successfully defended in 1992. The following year L. Zashkilniak defended his doctor’s dissertation called “Polish historiography in 1940s-1960s (the problems of organisation and methodology)”. The staff of the Department of the history of USSR at the end of the 1980s were involved in the following research projects: “The history of the working class and the industrial development of the USSR” (supervised by Chairperson K. Kondratiuk), “The history of the feudal formation of the Soviet countries” (V. Inkin). K. Kondratiuk, P. Chelak, Volodymyr Morohovlkyi, Olha Shchodra, V. Inkin took part in the preparation of the collective monograph “The outlined history of the workmen of Lviv”. The problem of the trade unions of the USSR was also researched at the department. 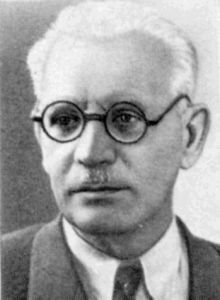 Ivan Vasiuta was finishing his work on the monograph “Formation of the worker-peasant alliance in the revolutionary movement in Western Ukraine (1921-1939). The Act of Independence of Ukraine in 1991 opened new perspectives for Lviv University, and for the Faculty of History in particular. A chance appeared to investigate forbidden topics in the history of Ukraine, to give new interpretations to well-known historical events. In 1992, the Ukrainian historian Yaroslav Dashkevych initiated the formation of the Institute of Historical Research supervised by Yaroslav Hrytsak in Lviv University. The main aim of the newly formed units became research of numerous historical topics based on the theoretical principles of the world’s methodology of history (oral history, everyday history, modern theory of nation and nationalism, mathematical methods in history etc. ), popularization of the greatest achievements of the classical Ukrainian and Western historical science. In 1996, the Institute of Historical Research launched the Journal “Ukraina Moderna”. In 1992, the Institute of Slavonic Studies was founded in Lviv University (Chairperson – V. Chorniy); and in 2000, the Institute of Archeological Studies (Chairperson – M. Fylypchuk). Structural changes that happened at the Faculty of History after 1991, showed the serious approach to the historical research. Thus, the Department of History and Ethnography of Ukraine in 1995 was divided into three separate Departments: Department of Ancient History of Ukraine and auxiliary Historical Sciences, Department of Contemporary History of Ukraine and Department of Ethnology. In 2009, the Department of Ancient History of Ukraine and Auxiliary Historical Sciences changed its name into the Department of Ancient History of Ukraine and Archival Studies. In 1998, two new departments were opened at the Faculty of History: the Department of Historical Area Studies and the Department of Byzantium Studies (worked until 2003, Chaired by the art historian Vasyl Otkovych). In 2002, the Department of History and Theory of Sociology was formed, its Chairperson – N. Chernysh – is the first Doctor of Sociology in Ukraine (her doctor’s dissertation “Maturity of young people’s consciousness as a philosophical and sociological problem” was successfully defended in 1991). Nowadays nine Departments function at the Faculty of History: Department of Archaeology and Special Historical Studies (Chairperson – Professor Leonid Zashkilniak), Department of Ethnology (Chairperson – Docent Roman Siletskyi), Department of Ancient History of Ukraine and Archival Studies (Chairperson – Professor Roman Shust), Department of Historical Land Studies (Chairperson – Professor Roman Golubko), Department of History of Central and Eastern Europe (Chairperson – Professor Myhailo Kril), Department of Medieval History and Byzantium Studies (Chairperson – Professor Leontiy Voitovych), Department of Modern and Contemporary History of Foreign Countries (Chairperson – Professor Stepan Kacharaba), Department of Contemporary History of Ukraine (Chairperson – Professor Oleksiy Suhyi), Department of History and Theory of Sociology (Chairperson – Professor Nataliya Chernysh), as well as the Centre for Auxiliary Historical Sciences, Museum of Archaeology, the Laboratory of historical and archeological projects. The Faculty employs 17 professors, Doctors of History, 55 Candidates of History. Research projects are developed in the following schools: the history of social and political processes in Ukraine, history of Slavonic Studies, ethnology, the school of history of historiography. The faculty prepares experts in six different specialities in Postgraduate and Doctoral Studies Programmes. Two Specialized Academic Councils are functioning at the faculty as well as editorial boards of the professional editions: “Вісник Львівського університету. Серія історична”, “Вісник Львівського університету. Серія соціологічна”, “Наукові зошити історичного факультету Львівського університету”, “Археологічні дослідження Львівського університету”, “Проблеми слов’янознавства”, “Вісник Інституту археології”. The Department of Archaeology and Special Historical Studies works at the topics of Primeval Archaeology of Ukraine (Olexandr Sytnyk), Archaeology of Early Iron Age (Bohdan Zavitiy), Ethno-cultural History of Ukraine of the first half of I millenium (M. Fylypchuk, D. Kozak), Ancient Archaeology and History of the Carpathean and Volyn – Podillya region of the Iron Age and Roman Times (Oleksandr Bandrovskyi, Yaroslav Onyshchuk, Anastasiya Baukova, Nataliya Stebliy), Archaeology of the Early Slavonic Period (M. Fylypchuk, N. Stebliy, Y. Pogoralskyi), Medieval Archaeology of Ukraine (Y. Pogoralskyi, N. Bilas). The following topics have been researched at the Department: Military Archaeology of Modern Times (Y. Onyshchuk), the History of Archeological Studies (N. Bilas, O. Sytnyk, Y. Pohoralskyi, A. Baukova). The Chairperson of the Department has been investigating the problem of Ukrainian and Polish Historiography of the 19th – 20th century, theoretical problems of Historical Studies. Department of Ancient History of Ukraine and Archival Studies (in 1995 – 2009 – Department of Ancient History of Ukraine and Auxiliary Historical Sciences) headed by the Dean of the Faculty of History R. Shust has started fundamental research projects: the History of Kyivan Rus, Cossacks, Ukrainian Church in the 16th – 18th century – that is the topics, which were not properly and objectively studied at the Soviet times. The following specialists in the fields of History, Archival Studies and Book Studies, Auxiliary Historical Sciences work at the Department: Yaroslav Dashkevych, Olha Shchodra, Mykhailo Pasichnyk, Andriy Zayiets, Orest Matsiuk, Myron Kapral, Vitaliy Havrylenko, Andriy Hrechylo, Volodymyr Aleksandrovych, Leontiy Voytovych, Volodymyr Potulnytskyi, Vira Frys, Nataliya Tsariova. The Department is divided into the Section of Ancient History of Ukraine and the Section of Archival Studies and Auxiliary Historical Sciences. The staff of the Department have been working in the following fields of research: the History and Historiography of Ukraine of Medieval Times (O. Shchodra), Historiography and Source Studies of Lviv, Religious and National Communities of Lviv at the Medieval Times and Early Modern Times (M. Kapral), Political, Social and Economical History of Ukrainian Lands as part of Polish-Lithuanian Commonwealth (A. Zayats, O. Vinnychenko, O. Tseluiko), the History of Judicature and Proceedings in Ukraine (S. Bilostotskyi), the History of Monetary Coinage and Monetary Circulation at the teritory of Ukraine (R. Shust). Profound achievements can be observed in the field of investigation of the History of Church in Ukraine (V. Kmet, O. Dukh, V. Kostyshyn, V. Subbotin). Research projects, connected with Auxiliary Historical Sciences: Diplomatics (V. Kmet), Cyrillic and Latin Paleography (V. Kmet, M. Ilkiv-Svydnytskyi), Codicology (M. Ilkiv-Svydnytskyi), Historical Lexicography (I. Pidkova), Numismatics (R. Shust, M. Shymanskyi), Geneology (O. Tseluiko), Historical Geography (O. Shchodra), Sociotopography (M. Kapral), Historical Demography (O. Dudiak, M. Kapral), Biography Studies (V. Herun). In the field of Archival Studies work Nataliya Tsariova (translations from Latin and Old Polish languages), Halyna Gromova (Development of Archival Studies in Ukraine, Methodological Materials in the Field of Archival Studies), Olha Oseredchuk, V. Herun (the History of Archival Studies and Research in the second half of the 19th – the beginning of the 20th century). It should be mentioned that O. Oseredchuk and V. Herun have also been working at the Archive of Lviv University (O. Oseredchuk holds a post of Head of the Division; V. Herun, the division’s worker); V. Kmet holds a post of the Head of the Academic Library of Lviv University and M. Ilkiv-Svydnytskyi supervises one of the divisions of this Library. The staff of the Department of Historical Area Studies in Lviv University have been investigating the following topics: the Military History of Ukraine in the 20th century, including Military Aspects of Liberation Movements of 1917-1921, State-forming Processes in Ukraine in 1917-1921 (V. Holubko, B. Yakymovych, V. Rutar), Ukrainian cultural and enlightenment as well as liberation movements in 19th-20th century (Alla Serediak, Taras Maryskevych), Ukrainian – Polish relations and social-political life of Western Ukraine at the interwar period (Ivan Fedyk, Lev Kalyniak), Economical History of Poland in 1920-1930; the History of Ukrainian Culture (Roman Masyk), Lviv during military conflicts (Ihor Mraka), Ukrainian national community of Lviv in the 1940s-1950s (Roman Heneha), Franko Studies; the History of Publishing in Ukraine (B. Yakymovych). The methodology of Land Studies investigations has been developed at the department. The main fields of investigation of the staff of the Department of Contemporary History of Ukraine are: Social-political and National Processes in Eastern Halychyna at the end of the 18th – the beginning of the 20th century; Ukrainian – Polish Relations, Formation of Modern National Identity of Ukrainians; National – Political Orientation in the Ukrainian Society of Halychyna, the History of Political Parties and Parliamentarism in Western Ukraine; Ukrainian Student Society in the 19th-20th century (O. Sukhyi, M. Mudryi, O. Arkusha, V. Kachmar); Ukrainian Liberation Movements of 1917-1920 (K. Kondratiuk, O. Pavlyshyn); Social and International Aspects of the History of Halychyna at the beginning of the 20th century (O. Pavlyshyn); Western Ukraine in World War II (K. Kondratiuk); the History of Western Ukraine in 1944-1953; the History of Soviet Occupation of Lviv University (V. Kachmar); Ethnic and Social Processes in Lviv at the end of the 20th century (H. Bodnar); Ukrainian Historiography of the 19th – 20th century (O. Sukhyi, K. Kondratiuk); the problems of the Philosophy of History (M. Mudryi, H. Bodnar); the Didactics of History (M. Mudryi). The following scholars work at the Department of Medieval History and Byzantium Studies: Leontiy Voytovych (research interests: Genealogy of Ruling Dynasties; the History of Princely Era; Ethnogenesis of Slavs), Yuriy Ovsinskyi (Agricultural History of Polish – Lithuanian Commonwealth in the 18th century; Folwark Economy in Right-Bank Ukraine in the 18th century), Modest Chornyi (the History of Monestic and Knight Orders of the Medieval Europe), Ihor Lylio (Historical Past of the Greek Communities at the teritory of Western Ukraine; Byzantium Studies), Oleh Fayda (the History of Eastern Church; Church Historiography; Historiography of the History of Byzantium in Ukraine), Serhiy Kozlovskyi (the History of Mentality; the History of Medieval East; Medieval Studies in Lviv University; Everyday History), Oleksandr Kashchuk (the History of Church in Byzantium), Olha Horlachenko (Methodology of Medieval History Teaching). The Department of the Modern and Contemporary History of Foreign Countries have been working on the following topics: the History of Ukrainian Emigration, Emigration from the teritory of Western Ukraine at the end of the 19th – the beginning of the 20th century, to European countries, Nothern and Latin America (Stepan Kacharaba), Ukrainian Historiography of Modern History of Western Europe and Nothern America; Ukrainian Diaspora at the Balkans (Stepan Movchan), Social History of the USA based on the American Scientific Periodics; the History of International Relations in 1920s-1930s (Mykola Rozhyk), Poland in International Relations in Central and Eastern Europe in 1918 – 1939; Political life of the Polish in Halychyna at the interwar period (Zoia Baran), Contemporary History of the countries of Asia and Africa; the History of International Relations; Oriental Studies in Halychyna at the interwar period (Andriy Kozytskyi); Political History of Spain of the 19th century (Bohdan Chuma); “Ukrainian Question” in the social – political life of Canada in 1945 – 1991 (Ruslan Siromskyi); Financial politics of Empire of Austria and Hungary in Halychyna (Nataliya Turmys); “Jewish question” in Halychyna at the end of the 19th – the beginning of the 20th century (Nazar Vaskiv); Muslim Diaspora in France at the end of the 20th – beginning of the 21th century (Bohdan Sypko). The fields of interest of the Department of History of Central and Eastern Europe include the following topics: Interslavonic Relations (Ukrainian – Slavonic Historical Relations) at the end of the 18th – 19th century and the History of Slavonic Studies (Myhaylo Kril, Volodymyr Chorniy, Nataliya Leshkovych, Tamara Poleshchuk, Ihor Shpyk); the History of certain Slavonic countries: Check and Slovakia (M. Kril), Bulgaria (V. Chorniy, I. Shpyk), Russia (N. Leshkovych, T. Poleshchuk). The staff of the department work at the project called “construction” of the Eastern Europe – Nation creation processes in the region in the 19th – the beginning of the 20th century (Roman Syrota, T. Poleshchuk), Ukrainian question in the politics and social – political life of Great Britain (R. Syrota), the administrative and teritorial system and social and economical, political and demographical development of Ukraine as part of the Polish-Lithuanian Commonweath in the 15th – 18th century (Mykola Krykun). The staff of the Department of Ethnology work on the following topics: the Ethnic History of Ukraine, Ethnic and demographical development of the Ukrainians, Ukrainian Diaspora (S. Makarchuk, Oksana Franko), the History of Ukrainian Ethnography (Oksana Franko, Mykhailo Hlushko, Ihor Hilevych, Roman Tarnavskyi); different aspects of traditional culture of the Ukrainians in the overall Slavonic context: Building ritualism, the systems of heating in folk dwellings (R. Siletskyi), dwelling places (H. Rachkovskyi), traditional vehicles of Ukrainian peasants; additional farm activities (fishing, wood crafts) – M. Hlushko, demonic studies, calendar rituals (Volodymyr Halaichuk). The investigation of the folk traditions of the Ukrainians at the department has been carried out withing the limits of the cultural – genetic field of studies, the main idea of which is to identify sources of ethnographical events. Numerous ethnographical materials, brought from the ethnographical expeditions, have been used to help investigate the problem. The ethnography of the Gypsies has also been studied at the department (H. Rachkovskyi). The Department of History and Theory of Sociology of Lviv University is one the most prominent Sociology departments in Ukraine. The staff of the Department develop the following topics: Theoretical Problems of General Sociology, Methodology and Methods of Sociological Investigations (Nataliya Chernysh, Viktoriya Sereda, Oleh Demkiv, Viktor Susak, Danylo Sudyn, Viktoriya Volodko), the History of Sociological Ideas in Ukraine and in the World (N. Chernysh, Tetiana Lapan, D. Sudyn), Ethnosociology (N. Chernysh, V. Sereda, D. Sudyn, V. Susak, Oksana Khymovych), Economic Sociology (Nataliya Kovalisko, Anna Kudrynska), Theories of Globalisation and Post-Industrial Society (N. Chernysh), Sociology of Social Changes, Post-Communist Transformations, Democracy and Democratisation, Cooperation between the Civil Society and the State (V. Susak, Oryslava Ben), Sociology of Politics, Morals and Law (O. Demkiv), Sociology of the Youth (N. Chernysh, O. Ben), Gender Identities (Tetiana Bureychak, V. Volodko, O. Khymovych), Sociology of the Family (Olha Kozachenko), Sociology of the City (O. Demkiv, V. Sereda), Oral History (T. Lapan, O. Khymovych), Migration Processes in Ukraine and the World (V. Volodko, O. Khymovych). A special field of investigation, which has been developing at the Faculty of History for the last several decades, is the History of Lviv University. Thus, in 1999 Volodymyr Kachmar successfully defended his Candidate Dissertation on the topic “The Problem of Ukrainian University in Lviv at the end of the 19th – the beginning of the 20th century: social and political aspects”. That same year this research work was published as a monograph. 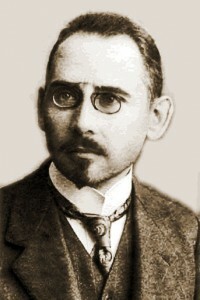 The following year Roman Lavretskyi successfully defended his Candidate Dissertation about the historical education and research in Lviv University at the interwar period, and in 2004, N. Bilas represented his Candidate Dissertation “Archaeology in Lviv University (the second half of the 19th to the 1930s)”. S. Kozlovskyi, Pavlo Yureyko has been involved into the research projects about Lviv University of the Medieval Period; R. Tarnavskyi studies the History of the Ethnological Science; O. Oseredchuk, the History of Lviv University Archives; Halyna Matviyenko, the History of the Faculty of Theology.